The composition was discovered by Barbara’s husband John Beck (1914 – 2014) in his house, along with Burgess’s harmonica. John and Barbara (or ‘Boo’) Beck were neighbours and friends to Lynne and Anthony Burgess in Oxfordshire, when Burgess was teaching English at Banbury Grammar School. 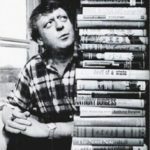 The manuscript is now in the collection of the Burgess Foundation and is one of the earliest surviving pieces of music by Anthony Burgess. The premiere of this piece was by Zoe Milton-Brown (soprano) and Benjamin Powell (piano) at the Burgess Foundation in November 2014.